New digital science fiction imprint, YA romance, Mystery novel contest and more. Harper Voyager Impulse is a new digital-first imprint from science fiction and fantasy publisher Harper Voyager. Executive Editor Jennifer Brehl hopes the imprint will offer more “fan-based, fast-paced, action driven ebooks.” The imprint will launch with 31 titles with a variety of types and styles of books, most acquired through an open call the publisher had last fall. Read the details in the official press release here. Bloomsbury Children’s Books is launching If Only, a new imprint to showcase young adult romance novels. Publishing Director Cindy Loh hopes to offer readers “clean, spirited and down-to-earth, ‘new love'” stories. Each novel in the line features a ‘what if’ scenario, includes humor, and is suitable for readers as young as 12, but should appeal to older teens as well. At this time, Bloomsbury accepts submissions only from agented authors. In November, Barbour Publishing will debut a new line of Christian fiction for readers ages 3-12. Shiloh Kidz will include a variety of types and styles of fiction. See their writing guidelines here. Lee and Low Books is sponsoring a New Voices award for children’s picture book authors of color. Submit your children’s picture book manuscript of up to 1,500 words. The winner receives $1000 and a standard publishing contract with an additional advance and royalties. An honorable mention winner receives $500. There is no fee to enter and you may enter up to two manuscripts. The deadline for entries is September 30, 2014. Find all the details here. There will be no market news update next Wednesday. I’ll be in San Antonio, attending the Romance Writers of America convention. If you’re there, I hope you’ll look me up and say hello. I’m giving a workshop Thursday morning at 8:30 on “Writing Faster, Writing Better” and I’ll be participating in the Kensington authors’ signing on Friday. Completed manuscripts should be between 55,000 and 90,000 words. Send a query and a jj3 to 5 page synopsis, along with your completed manuscript. Get all the details here. Sci-Fi Romance Quarterly is seeking stories of cy-borg romances for its next issue. Stories should be between 1,000 and 7,500 words. Payment is $30 a story. The deadline for submissions is August 15, 2014. Guidelines are here. 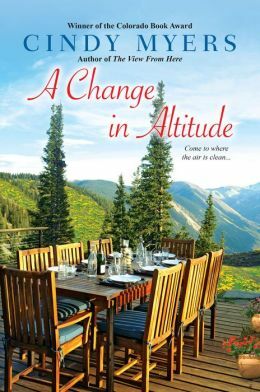 If you haven’t yet had a chance to get a copy of my newest release, A Change in Altitude, it’s still widely available in bookstores and online, in both print and ebook format. An audio book will be coming soon. 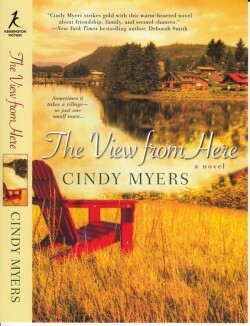 This third volume in my series about a quirky town in the Colorado mountains can be read as a stand-alone book, though if you want to read the whole series, the first two books, The View From Here and The Mountain Between Us are still available. Intrigue Publishing, a boutique publisher based in Maryland, established in 2012, specializes in mysteries and thrillers, but wants to expand its offereings to include crime fiction, young adult, urban drama and sensual romance. Manuscripts should be between 60,000 and 100,000 words. Intrigue pays royalties and an advance. The editors are also looking for short stories, between 3,000 and 10,000 words, in these same categories. They’ll pay $50 for one-time electronic rights. Get all the details here. As always, feel free to share the information in this blog with others. Reprint, repost, retweet. All I ask is that you give me credit as the source of the information and include a link to this blog. 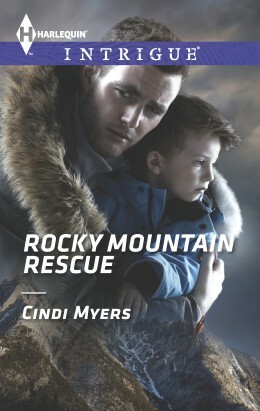 If you’d like to find out more about me, visit my web pages at http://www.CindiMyers.com and http://www.CindyMyersbooks.com. Thanks! The Labletter literary journal is accepting submissions for its 2015 issue. Fiction editor Sarah Marrs is interested in short stories up to 7,500 words, on any subject, in any style. Payment is $150 a story and writers retain all rights to their work. The deadline for submissions is July 18. Find all the details here. The First Line seeks short stories from 300 to 5,000 words with the first line “Fifty miles west of Bloomington likes Hillboro, a monument to middle-class malaise.” All genres of fiction are welcome. Payment is $25 to $50. The deadline for submissions is August 1, 2014. For more info, go here. David LaBounty, editor with Blue Cubicle Press, seeks short stories between 500 and 5,000 words on the theme of people who work in the sports world — announcers, agents, umpires and referees, groundskeepers and trainers, etc. Athletes may be featured in these stories, but the focus is on the “work” side of sports. Selected stories will be published in the 11th Workers Write anthology “Tales From the Coliseum” Payment is $5 to $50 and the deadline is December 31, 2014. Get all the details here. Cicada Magazine, for young people ages 14 and older, seeks stories for a “Monsters and Maps” issue. Submit your stories about mythical or real monsters, along with maps of their territory, to editor-in-chief Mariane Carus by July 31, 2014. Stories may be up to 9,000 words and payment is 25 cents a word. Get all the details here. Entangled Publishing is seeking novellas and novels featuring heroes and heroines who meet on new Year’s Eve for its Lovestruck line of category romances. Stories should be 15,000 to 60,000 words and feature chance meetings that lead to sparks between the hero and heroine. The deadline for submissions is August 15, 2014, for publication in December 2014. Get all the details here. As always, feel free to share the information in this blog with others — reprint, repost, retweet and pass it along. All I ask is that you credit me as the source, and include a link to the blog. If you want to know more about me, visit my websites here and here.